GREAT BAY, St. Maarten – The Mosquito Breeding Site Elimination & Cleaning Up Campaign vector control team members from the Ministry of Public Health, Social Development and Labour (Ministry VSA) starting in the week of May 14th will be heading into the districts of Cul the Sac, Mary’s Fancy, Saunders, Betty’s Estate, Ebenezer and St. Peters to carry out an assessment. 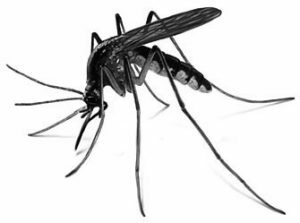 As the vector control team visits and assesses the aforementioned residential areas, the team is asking for the cooperation and collaboration of the residents of the areas to be on alert for the visit of the mosquito apprentice vector control team. Community cooperation of the team is requested to ensure a proper assessment. The assistance of all residents is needed in order to beat the mosquito that carries various types of vector borne diseases. This project has two parts, firstly an assessment of mosquito breeding site elimination debris and bulky waste by the vector control apprentices; and secondly, the removal of the identified hurricane debris and bulky waste in coordination with the Ministry of Public Housing, Spatial Planning, Environment and Infrastructure (Ministry VROMI). This project is a collaborative effort between Ministry VSA and VROMI under the umbrella of VSA’s Cash for Work project which is presently financed by the United Nations Development Programme (UNDP) and Ministry VSA covers other costs such as materials and the participation of civil servants. The 15-member strong team of vector control apprentices, last week revisited the residential areas of Sucker Garden, Middle Region and Dutch Quarter in order to re-assess the homes that needed assistance in picking up Hurricane debris and bulky waste. The team also revisited homes whose owners/authorized tenant were not present during its 1st cycle of the yard inspection. During this project the residence in the identified areas are requested to collaborate ensuring open homes for assessments, if there are any concerns or questions, members of the community can call the Collective Prevention Services at 542-1570 for the project coordinator, Mr. G. Davelaar to obtain additional information.